Few Canadian cities incite intrigue into its past more than Victoria. 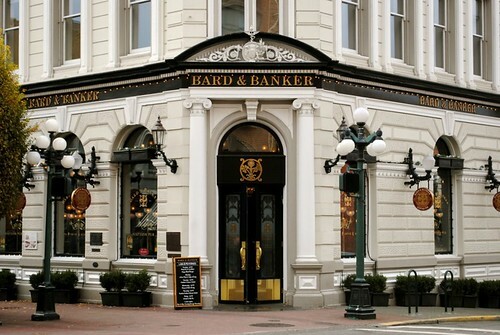 Though now a modern city in its own right, Victoria holds strong to the history that shaped and molded BC’s capital. Historical buildings, century-old cemeteries, cobbled streets and famed stories exist to show n’ tell the tales of Victoria’s past. A brand-new walking tour will take summertime visitors on an historical voyage through some of the city’s most loved saloons. ITT Wilson Tours welcomes history buffs or those with an appetite for a great mug of brew to join the Saloons, Scandals & Sweets tour, a tour that promises a “little scandal and a lot of intrigue.” Hear the stories behind the storefront facades, plant your feet in the same spot where some debaucherous deeds were carried out and find out just what happened in Victoria’s dance halls after the sun would set. When: Daily until September 6, 2011 (and then Friday, Saturday and Sunday until mid-October). Tours depart daily at 2:00 p.m. and last approximately two hours. Where: Meet at the Emily Carr Statue at the southwest corner of the Fairmont Empress Hotel grounds. How Much: $25.89 plus tax – the tour includes stops at two local pubs; beer and sweets are included in the fee. For more information, visit ITT Wilson Tours online or follow their updates on Twitter. Also, if you ever get a chance, the Lantern tour of Victoria is prety cool too.